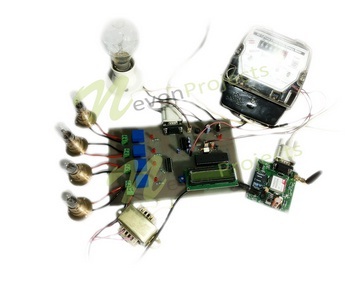 The project consists of a Power meter reader system with gsm (sms sender device) interface. The energy department needs to send its employees every month in order to take energy meter readings. This is an expensive as well as a time consuming system. Our project determines a more efficient way to get energy meter readings. Both electricity company as well as user get their energy meter readings via sms every month. User may also control the system using sms. 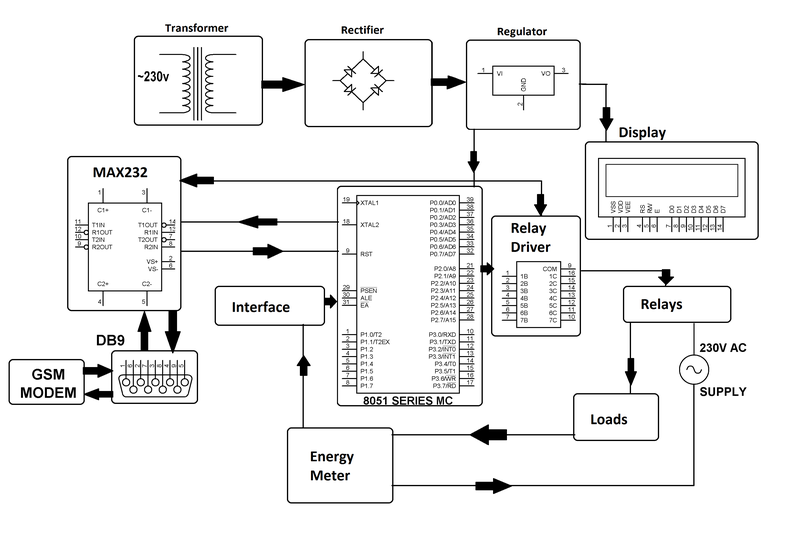 The energy meter is interfaced to a microcontroller of 8051 family. 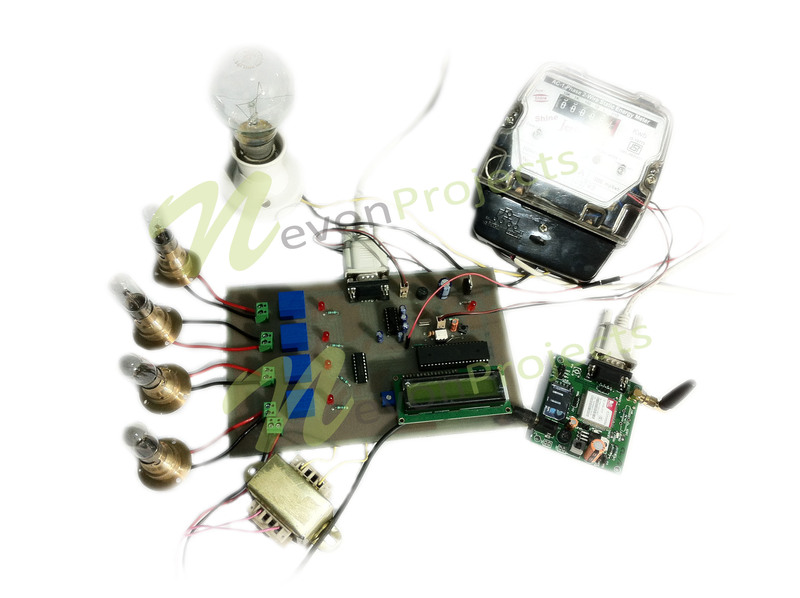 The energy meter readings are also read by the micontroller and displayed on an LCD Screen, this data is also sent via sms through a gsm modem interfaced to the microcontroller. The Gsm modem also has sms receiving capability. On receiving particular user request it sends required signal to the microcontroller in order to do counting for required operation. It can switch loads On/Off as desired.